The Neon Museum is honored to be awarded funding grants through the National Endowment for the Arts (NEA) and two Nevada community-based organizations: NV Energy Foundation and City of Las Vegas Historic Preservation Commission. is honored to be awarded funding grants through the National Endowment for the Arts (NEA) and two Nevada community-based organizations: NV Energy Foundation and City of Las Vegas Historic Preservation Commission. The NEA awarded the Neon Museum a Challenge America grant in the amount of $10,000 to support its National Artist in Residence (NAIR) program. Now in its fourth year, the museum’s NAIR program calls for artists working in the fields of visual or performing arts. As part of the residency, the selected artist resides in Las Vegas for two months and participates in multiple community engagement activities. Meant to garner additional interest in the Neon Museum and City of Las Vegas, the community engagement activities include an artist talk, exhibition of work and community workshops. NV Energy Foundation awarded a $5,000 grant to the Neon Museum to support the program, “My Las Vegas.” The bilingual school outreach incorporates art through math concepts and exciting storytelling for Title 1 elementary schools. 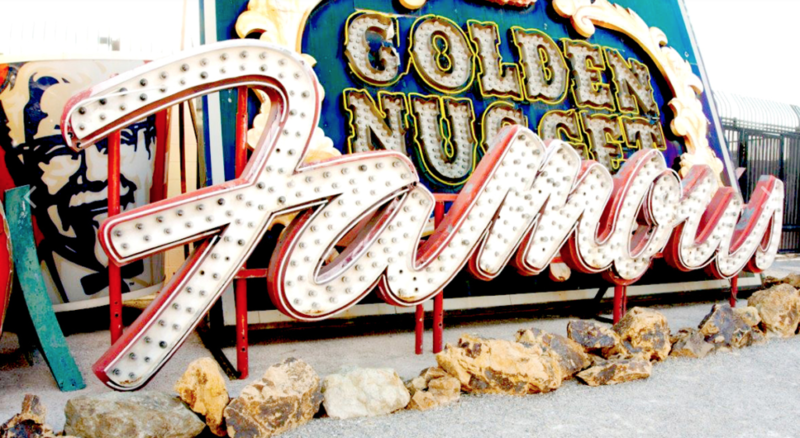 In support of its Oral History Project, the City of Las Vegas Historic Preservation Commission awarded the Neon Museum with the Centennial Legacy grant in an amount of $5,000. The project is designed to record the past activities of sign industry professionals with highlights on key accomplishments, anecdotes and thoughts on the future of Las Vegas signs. The oral histories will provide documentation for researchers, exhibits and expand the archives for both the City of Las Vegas and the Neon Museum.